Wireless is a key part of the solution to rural broadband. In the BBC article below, “social exclusion” is a big risk when broadband is delivered on copper and fibre media: cabled infrastructure simply can’t deliver everywhere at a decent speed, installed quickly or economically. 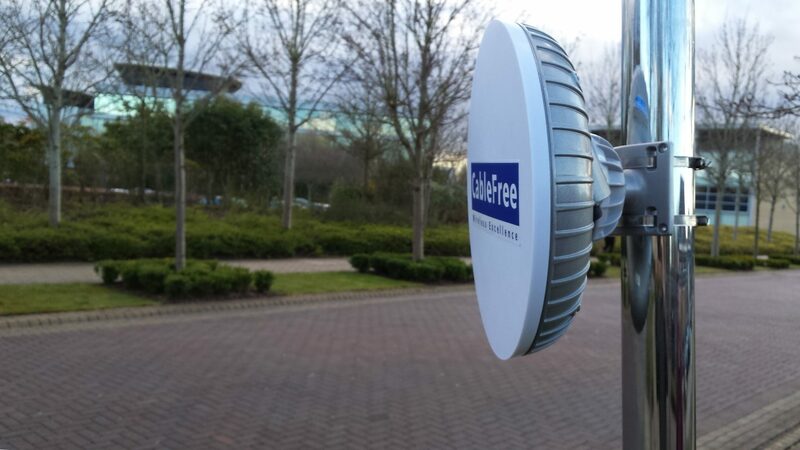 Wireless solutions such as the CableFree product range enable you to connect rural communities quickly, reliably and with high capacities. “The report also says the surge in data speeds has led to a “digital divide” between those who have the fastest internet access and those who are left behind. It says: “As the world goes increasingly online, those left behind risk social and economic exclusion. We have found that people who are left behind are usually less well-off or living in vulnerable circumstances. 2.4 million households and small businesses (around 8% of all UK premises) cannot yet access a decent broadband speed of 10Mbits per second,” the report said. Ofcom also said there was a digital divide in the UK between those with the latest technologies, and those without. It has proposed that decent, affordable broadband should be a universal right. Rivals had called for a split between BT and its Openreach operation, which runs its cables, fibre and network infrastructure.